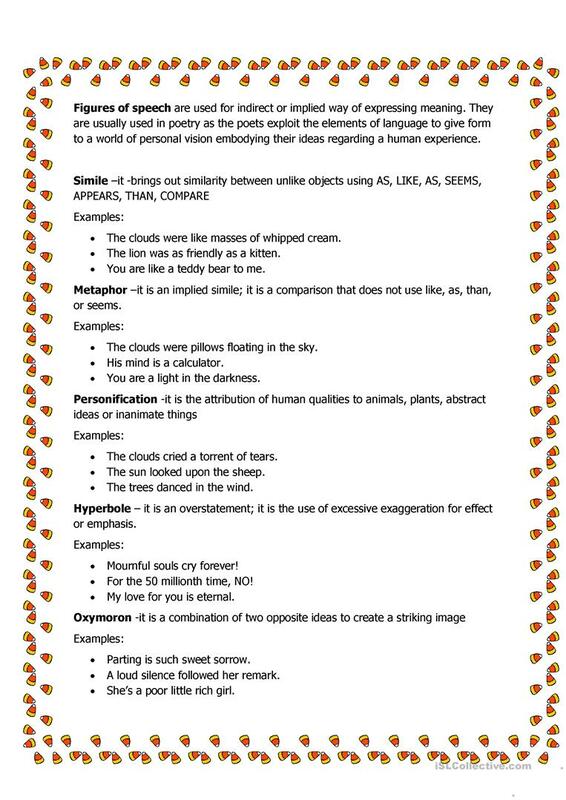 This is a handout of figures of speech. This contains explanation of each figure of speech with examples. The above downloadable handout is recommended for high school students, elementary school students and adults at Elementary (A1), Pre-intermediate (A2) and Intermediate (B1) level. It is great for practising Figures of speech, metaphors, metonyms in English, and is useful for enhancing your groups' Reading skills. I've been teaching high school English since 2009. I keep learning new things about myself and teaching since then.